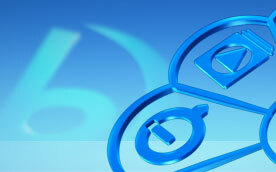 M4A refers to MPEG 4 Audio, which is a popular file extension containing compressed audio with MPEG 4 technology. M4A refers to MPEG 4 Audio, a popular file extension containing audio in compressed with MPEG 4 technology. It is also known as Apple Lossless Encoder, Apple Lossless, or ALE. 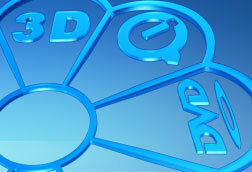 It is a new codec which is designed to offer lossless encoding in less storage space. M4A is used to store media types defined by the ISO/IEC Moving Picture Experts Group, and can be used to store other media types as well. It is used to store data in files, data streams and possibly in other ways. Files in .M4A format are actually the audio layer of (non-video) MPEG 4 movies. Like MP3, M4A is also a lossy compression format, but it is in much improved quality and with less size. Unlike MP3 which requires pay royalties, M4A requires no payments to stream or distribute. Only for this factor, due to the extreme cost savings, people would use M4A files but not MP3 files. Furthermore, although encoded at the same bit rate, M4A performances much better than MP3 does. Some people are confused about the differences between M4A and MP4. Generally, MP4 files may contain MPEG 4 Audio or not. It means that M4A file contains only MPEG 4 Audio, while MP4 can be used for MPEG 4 video, just MPEG 4 audio, or combined video and audio files. M4A files were unprotected audio files. It was used by Apple computer who made it popular. They did this because MP4 was too general and might confuse some media players. 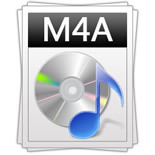 On audio files, M4A files are recommended to use. After all, M4A and MP4 files contain the same files but with different file extensions. In practical use, maybe sometimes your software can not recognize or play the file extension, then you can resave the file with the other file extension, and usually it will work.